If you love traveling throughout the U.S. and Caribbean, a Southwest Visa card might be for you. 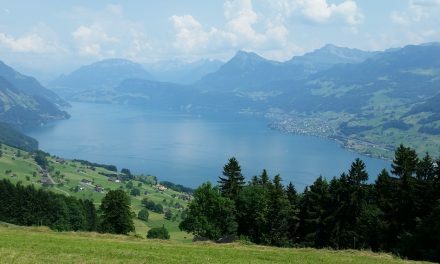 Offering easy to earn points that translate into free and reduced airfare, these are some of my favorite airline cards around. Southwest Airlines has long been known for low fares and great service. By adding destinations throughout Mexico, the Caribbean, and Hawaii (in 2019), it’s become an even better option for those wanting to travel slightly closer to home. There’s a lot to love for rewards card enthusiasts, as well. In addition to making your flights even cheaper, a Southwest Visa provides a ton of benefits to help you travel in style. And, since there are plenty of personal and business cards to choose from, you’re sure to find a card that fits your needs. Which Southwest Visa is Best? Obviously, if you don’t own a business of some type, the Southwest Visa business cards are out. But, how do you decide between the other options? Let’s compare them and help you decide. Signup Bonus: Earn 40,000 bonus points when you open a new account and spend $1,000 in the first 3 months. In many cases, earning the initial 40K signup bonus is almost enough for 2 round-trip tickets to the Caribbean, although it depends on your dates and airports. Anniversary Bonus: You’ll earn an additional 3,000 bonus points on your cardmember anniversary each year. Earn Points for Spending: You earn 2 points per dollar spent at Southwest or with select hotel and car rental partners. All other spending is 1:1. No Blackout Dates: Unlike some airline rewards programs, you’ll never have to worry about blackout dates at Southwest. Fare-based Pricing: You can even use your points to book flights that are on sale! With Southwest, cheaper fares means fewer points. Free Checked Bags: Adding checked bags to your flights can really add up. Southwest allows you to check your first two bags for free. No Expiration: Your points don’t expire for as long as you keep your account open. That’s a ton of value packed into one card. It is simply one of the best airline cards on the market. Not bad, right? Well, if you’re looking for a little more value, here’s another card that can provide it. Signup Bonus: Like the Plus Card, you’ll earn 40,000 bonus points for opening a new account and spending $1,000 in the first 3 months. Anniversary Bonus: The anniversary bonus is higher with the Premier Card, totaling 6,000 point bonus on your cardmember anniversary. Earn Points for Spending: Again, you’ll earn the same 2X points for every dollar spent with either Southwest or select hotel/car rental partners. Get 1X points on everything else. No Blackout Dates: As with all Southwest Visa cards, there are no blackout dates. Fare-based Pricing: Using points to book flights is based on the fare rates. Free Checked Bags: On all Southwest flights, the first two bags you check are free. No Expiration: Keep your account open and your points never expire. Obviously, there is a lot to like about this card too. And, compared to other airline cards, we think the points offer a ton of value. So, let’s take a look at the final personal card. You’ll definitely notice some similarities. Signup Bonus: Again, you can earn 40,000 bonus points for opening a new account. Like the other cards we’ve mentioned, you’ll earn 40,000 bonus points for spending $1,000 in the first 3 months. That’s a nice haul, but it’s the exact same signup bonus you’ll get with the other two personal cards. Anniversary Bonus: Additionally, you’ll earn 7,500 bonus points each year on your cardmember. 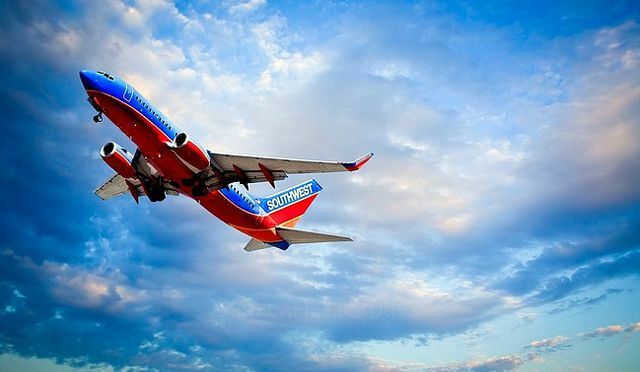 Travel Credit: Southwest will give you a $75 travel credit every year you have the card. Upgraded Boardings: With this card, you’re eligible to receive 4 upgraded boardings every year. Earn Points for Spending: Like with the other cards, you’ll earn 2X points with Southwest and select hotel and car rental partners. You get 1X points on all other spending. Again, this is a brand new addition to the airlines suite of cards. Although the annual fee is higher than the others, you do get some additional perks – particularly the travel credit – that may make it worth it for you. Need a side by side comparison? Here’s a table to help you visualize it all. As you can see, the Southwest Visa personal cards come with nearly identical benefits. All three personal Southwest Visa credit cards currently offer a 40,000 point sign up bonus for spending $1,000 in the first 3 months. So, for me, the biggest difference between the personal cards comes in the form of the annual fee. 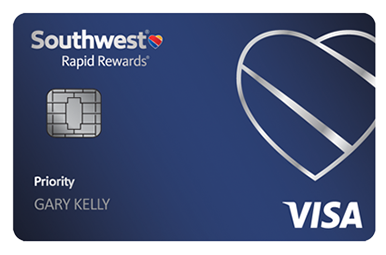 Looking at the fees, the new Southwest Rapid Rewards Priority Card charges the highest annual fee at $149. 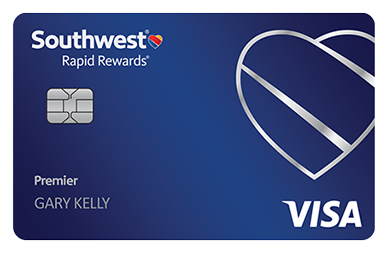 The Southwest Rapid Rewards Premier Card charges a $99 annual fee while the Southwest Rapid Rewards Plus card has an annual fee of just $69. Since none of the fees are waived for the first year, the Plus gets a slight nod here. With that said, the more expensive cards do come with additional benefits. The Priority Card offers an annual bonus of 7,500 points and an annual travel credit of $75. This effectively makes the annual fee $74, provided you use the credit. On the other hand, the Premier Card comes with an annual anniversary bonus of 6,000 points as opposed to the 3,000 point bonus offered by the Plus Card. That essentially makes up for the $30 difference in the annual fee. So, which card is best? I still think the Plus Card makes the most sense. However, if you fly Southwest exclusively, you really can’t go wrong with any of these cards. 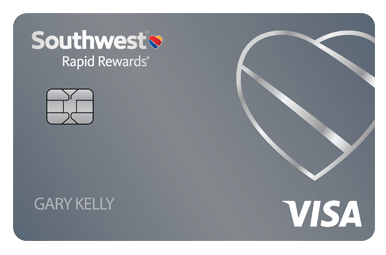 One final note here: In the past, you were able to earn a signup bonus for both cards in the same year, helping you to earn points toward one of my favorite perks, the Southwest Companion Pass. Unfortunately, as of 2018, that is no longer the case. On personal cards, you may not earn a signup bonus if you’ve earned one in the previous 24 months. This is a big change, and it makes the Companion Pass significantly harder to get. With that said, if you are a business owner, you may still earn a welcome bonus from both a personal and a business card. More info on the business version can be found below. As we mentioned, right now, all versions of the Southwest Visa Card offer a 40,000 bonus points for spending $1,000 in the first 3 months. In some cases, that’s good for 2 round-trip flights to the Caribbean, if you’re flexible. Although I love a good signup bonus, I really love that redeeming my Rapid Rewards Points is based entirely on the actual airfare price. Southwest flights are often the cheapest available, but they also run some ridiculous deals throughout the year. 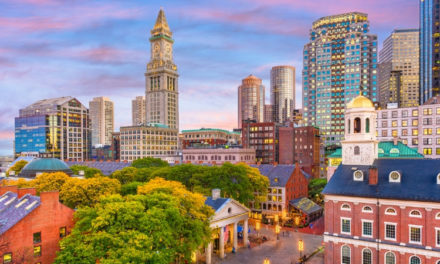 I’m talking about domestic round-trip tickets for less than $100! And, since the point redemption is fare-based, your points stretch even further during these sales. Plus, there are no blackout dates or rewards caps. That means I can use my points on any flight with available seating…and I can still check 2 bags for free! Oh yeah, have I mentioned that Southwest now flies to 14 destinations throughout Mexico and the Caribbean? It’s true! You can now use your points to book free flights for your entire family to places like Jamaica, Costa Rica, Belize, and Aruba. That’s pretty sweet, especially if you’re a beach bum like me. As of 2019, Southwest has also began their long anticipated service to Hawaii. 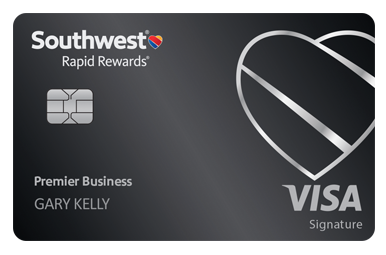 We’ve mentioned the business version of the Southwest Visa Card a few times. Keep in mind that the Southwest Rapid Rewards Premier Business Card offers many of the same benefits as its personal card counterparts. Rather than run through all the benefits of Southwest points again, here’s a quick overview of its unique features. Signup Bonus: Earn 60,000 bonus points for opening a new account and spending $3,000 in the first 3 months. Anniversary Bonus: Earn a 6,000 point bonus on your cardmember anniversary. Employee Cards: Employee cards can be added with no additional fees. You’ll also earn points on all their spending. Besides the fact that this is a business card, the biggest difference here is the signup bonus. While the bonus is higher than two of the personal cards, so is the minimum spending requirement. Still, if you’re looking specifically for an airline card, you can’t go wrong with this card for your business. If you want to get the most from your Southwest Visa Card, be sure to use it whenever you book travel through Southwest or their participating hotel and rental car partners. You’ll earn 2X points on every dollar spent, which really adds up if you’re a frequent traveler. Also, use your points to book flights when they’re on sale. Because redeeming your points is based on the actual fare price, you can really stretch those points further. Check out our “Beginner’s Guide to Credit Card Rewards” for more tips. Paring your card with a premium rewards card can make a great match too! 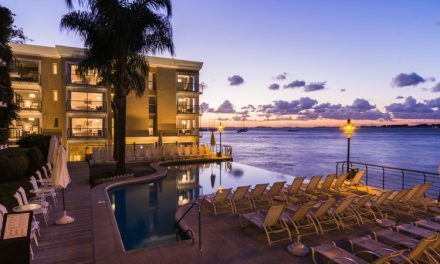 With the Chase Sapphire Preferred Card you’ll earn a 60,000 point signup bonus, but you’ll have to spend $4,000 in 3 months to do it. Your Chase rewards transfer at a 1:1 ratio to the Rapid Rewards loyalty program. If you decide not to transfer them to Southwest, you can transfer them to other loyalty programs through travel partners like Marriott, Hyatt, IHG, and United Airlines. They are also redeemable for gift cards at places like Kohl’s, Home Depot, Lowe’s, and more; or, you can redeem them for $750 in travel when booked through the Chase portal. There is a $95 annual fee. This is almost always the first rewards card we recommend. The points are flexible, valuable, and our favorite type to earn. Although the Southwest Visa cards are some of our favorite airline cards, there are some things you need to watch out for. Annual Fees: Each version of the card has an annual fee ($69/$99/$149 personal, $99 Premier Business) which is not waived. Of course, the signup bonus more than makes up for it the first year. But, if you don’t travel much or don’t use the points, the fee may not be worth it to you. No Flights to Europe or Asia: Although Southwest now travels all around the U.S., Mexico, and the Caribbean, it does not offer any flights to popular international destinations in Europe or Asia. If you’re wanting to book travel there, you should look at other cards. Points Don’t Transfer: Whenever we travel domestically or to the Caribbean with our whole family, Southwest is usually a great option. However, if you don’t like Southwest or don’t live near a Southwest hub, this may not be the card for you. Consider other travel rewards cards instead. No Double Dip for Companion Pass – As we mentioned earlier, unfortunately, Southwest updated it signup bonus policy concerning their two consumer credit cards. You may no longer earn a signup bonus on a second Southwest consumer card if you’ve earned a new member card bonus within the previous 24 months. While earning points on the card still counts toward the pass, it makes earning the Companion Pass significantly harder. Most of the major airlines now have their own co-branded credit cards that allow you to earn points and save on flights. However, with co-branded cards, you’ll only be able to use the points you earn with that particular brand of airline. That’s not always a problem, but it could be. 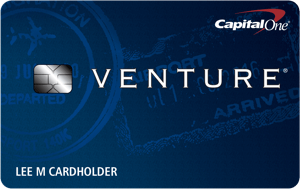 For a more flexible option, consider the Capital One Venture Rewards Card. This card offers a one-time bonus of 50,000 miles when you spend $3,000 within the first 3 months. This translates into a statement credit of $500 toward travel expenses. You can also earn an enormous 10 miles per dollar spent when you book stays at participating hotels through their portal. There is a $95 annual fee, but it is waived for the first year. These are some of the most flexible points and miles you’ll find. You can use the to book airline tickets, excursions, and other travel experiences when you pay with your card. If you’re looking for cheap flights throughout the U.S., Caribbean, and Mexico, Southwest is a great place to start. One of these cards can make it even cheaper. With a Southwest Visa Card, points are easy to earn and the benefits are super solid. Since points are tied to airfare prices, you can use them to save even more during sales. And, you’ll definitely want to pair it with another card to earn even more points. If you do all that, you’ll save big bucks when flying with Southwest! NextGo Chicago Card Review 2019: Is It a Good Value? Thanks for this post! I’ve been thinking about getting the Southwest card, but hadn’t looked into the specifics yet. We love flying Southwest (free checked bags!). The only thing I’m bummed about is they don’t waive the annual fee – but it more than pays for itself. Yeah, the annual fee is a bit of a bummer. But, like you said, it more than pays for itself…especially that first year with the signup bonus. I think we are going to do this in 2017! We already have a decent amount of points accumulated. We’re just trying to make sure we have some wiggle room in our calendar to book a trip or two! Yeah, the Southwest card is great! If I were you, I’d try to be patient and wait for the 50K offer to come around. It isn’t guaranteed, but it usually comes around a few times a year. It’s still a good deal, but it does help to know that the 50K generally comes around a few times a year. I love Southwest. Booked a round trip from Austin to Vegas for $115.. I was pleasantly surprised (wish I could find rates this great again though..). Thanks for the review! I was wondering what someone thought of the rewards mileage cards though I don’t know if I will be signing up for them cause I don’t like annual fees.. My mind might change though. It depends on the card and it depends on the bonus. Personally, I like the Southwest card the best because the points are tied directly to the fare rates. Plus, it is already cheap for us to fly on Southwest. However, if you fly on a particular airline a lot, especially if it is for work, it is probably worth getting that airline’s card to book flights and pick up points. So I’ve been debating this card for a bit but waiting till closer to my husband retiring. However, I’ve flown southwest going on 3 times in 6 months so it’s too bad i don’t have a card. I want to get the companion pass and wondering the best strategy? Apply in January and try to accumulate points as quickly as possible before the end of the year? Also it sounds like you can use your points before the companion pass is reached? Or is that subtracted from your 110,000 needed if you use them before you hit the mark? Please explain. Thanks. Unfortunately, the Southwest Companion pass has recently become significantly harder to get. You may no longer earn a signup bonus on a second Southwest consumer card if you’ve earned a new member card bonus within the previous 24 months. At the moment, this does not apply to the business version of the card though. Thank you! My son warned me about the very recent change in SW credit card deals. I do have a business so could get a business card at this point. Given it is May I’m thinking it would be best to take out at the end of the year and start accumulating the points after January 1st–i.e. spending the amount needed on the card to get the added bonus. I’d hate to not be able to accomplish it unless they start giving the points so far after i could do Christmas and holidays on a new card and take out the 2nd after the first of the year? And do i understand you can use your points before you reach your 110,000 goal –you don’t have to save them in the year just earn them all in one year. Is that correct? Thank you for your suggestions. Yep, you can use your points as you go. You just need to earn all your points in the same calendar year. Ideally, you’d like to start earning in January. However, you’re also running the risk that they change the signup bonus on the card, increase the points needed to earn the companion pass, etc. So, keep that in mind as well. THought I would let you know I went for it end of last year. Took out a business card in late November and had some last year end larger expenses i was able to charge and get the bonus points. In late December I took out the consumer one and switched all our credit card charges to that and as of mid-March I was notified we got our companion pass! It does still last for two years earning it this way which I was a bit nervous about when I saw the “new” deal of earning it. Now hopefully we can do some travelling in the next few years before it expires. Was super excited and pleased the timing worked out perfectly. WE have companion pass status from mid-March of 2019 through December of 2020! Thanks for all your tips on how to do this!! Appreciated greatly!! Congrats!!!! The pass is much tougher to get than it used to be, but it sounds like the business card definitely helped you out. Yes, there was a Companion Pass promo that was running earlier this year on the consumer cards only (2019). For that promo, the Companion Pass was only good through the remainder of the year. Thankfully, that promo has since expired (along with all sorts of confusion). When you earn the Companion Pass the regular way, it still works for the rest of the calendar year in which you earn it and the following year. Enjoy! do you think they might offer the 50K points this year? Thank you for this nice post. Its really help full.